Ireland is a place of ever-changing natural wonders: trees, flowers, insects, animals and birds. Now this book helps you explore all this magic right on your doorstep, from the back garden to the local park and the countryside. Four beautifully illustrated sections take you through each season in turn, showing you the different things you might spot. 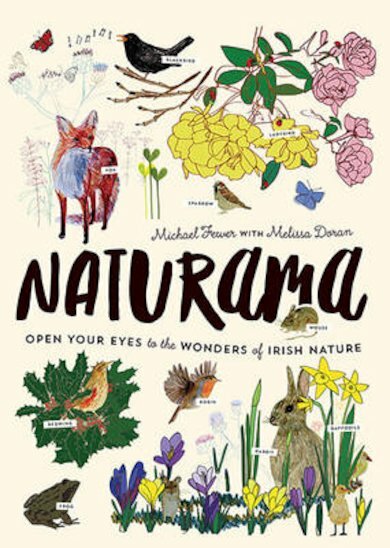 Listen to the blackbird’s song, find an madra rua in your local town, and find out why the ash tree is good for making hurleys. Then count a snail’s 27000 teeth, watch stags fight, and spot jellyfish at the seaside. What does their Irish name, smugairle róin, mean?